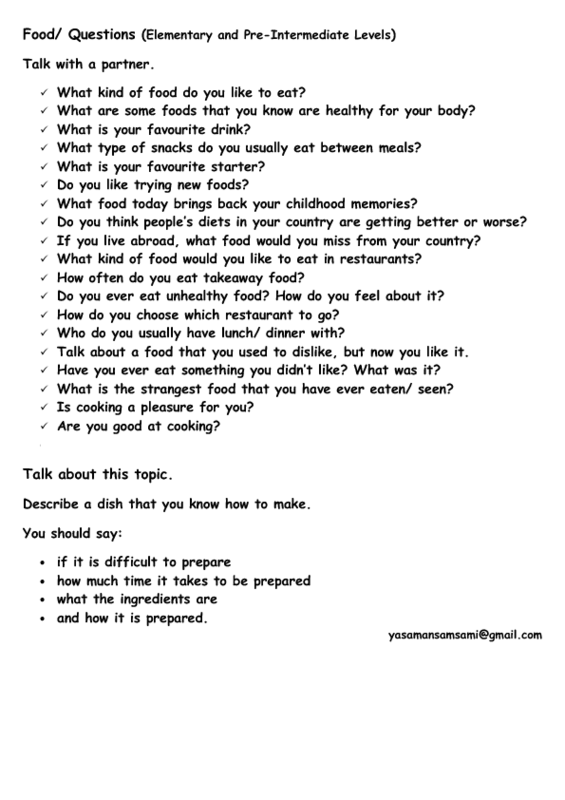 This worksheet contains 2 activities about food. The first activity contains different questions. You can put the students into pairs/ groups and ask them to talk about the questions. 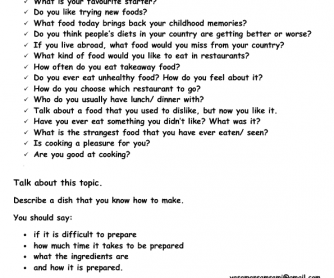 The second activity asks the students to describe a dish that they know how to make. It can be used either as a writing or a speaking activity. It is appropriate for elementary and pre-intermediate levels, particularly adults. Hope it helps.